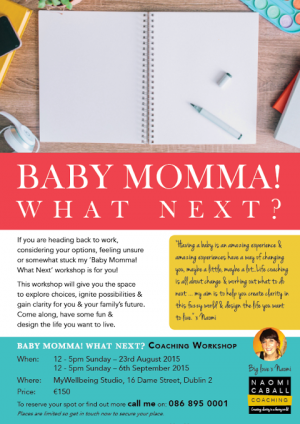 If your looking at your next move in life and would benefit from taking a little time out for yourself to consider and explore your options, my Baby Momma! What Next? Coaching Workshop is for you. Get in touch to find out more and reserve your spot.